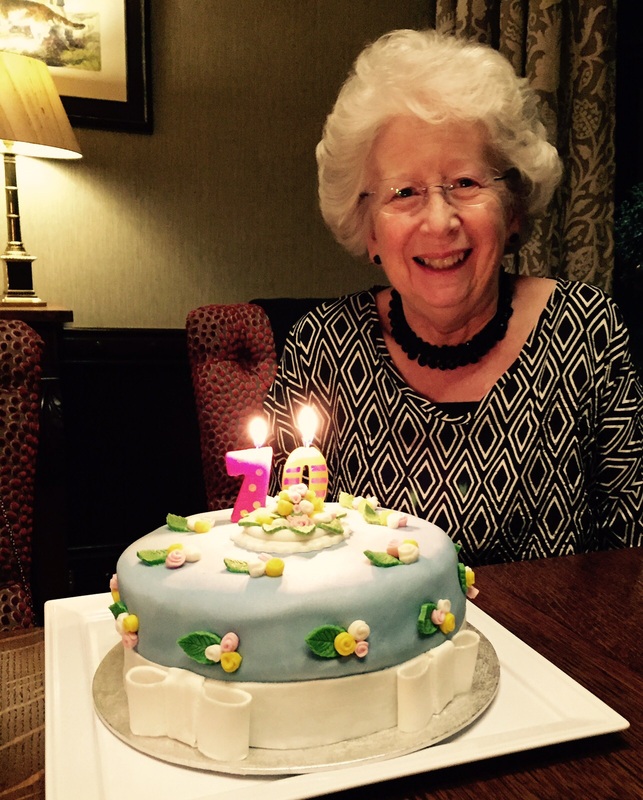 The occasion was my mother-in-laws 70th so we had high hopes for a great night and we loved it. My clever mother-in-law had organised for us to have a private dining space, so that we could totally relax in which was lovely. We felt like lords of the manor. Service 5/5: We had a dedicated waiter for the majority of the meal, so we felt very spoilt indeed. He was extremely attentive and remembered what we had all ordered, even though we were sitting in the lounge not at the table when we did. Impressive. What I liked the most was that the staff were attentive but jovial and friendly, not stuffy or overpowering. Food 5/5: It was so yummy. We ordered off the set menu and were given canapés of olives, crackers and dip whilst sitting in the lounge for pre-dinner drinks. Then we were offered an appetiser of pigs head, luckily this was not anything David Cameron would allegedly take a fancy too, but rather a delicious pork bonbon. 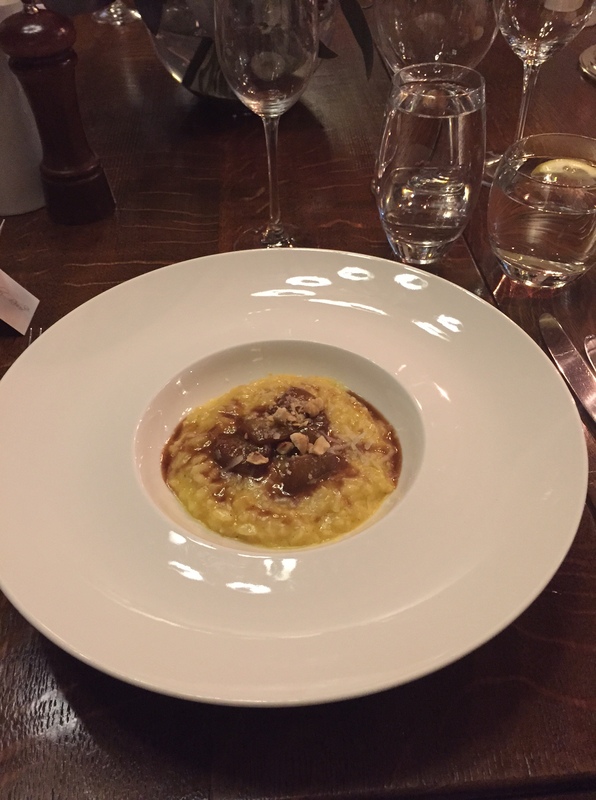 For my starter I had French Pumpkin Risotto, Aged Parmesan, Home Grown Marrow and Toasted Hazelnuts. This was so delicious, I could have licked the plate. The pumpkin and marrow were caramelised and the risotto was creamy but not heavy, which was great for a starter. 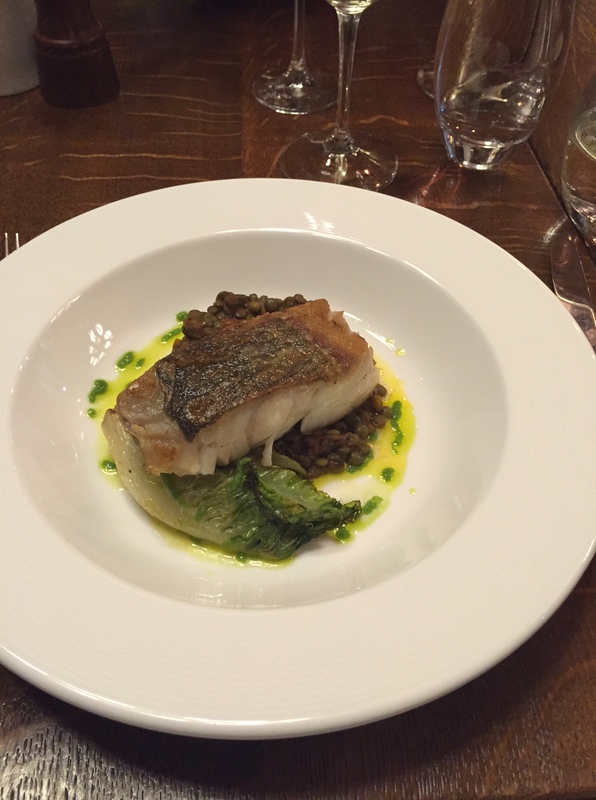 My main course was Seared Fillet of Coley, Spiced Lentils and Charred Garden Baby Gem Lettuce. Again it was divine. The lentils had a good kick to them but were not overpowering. 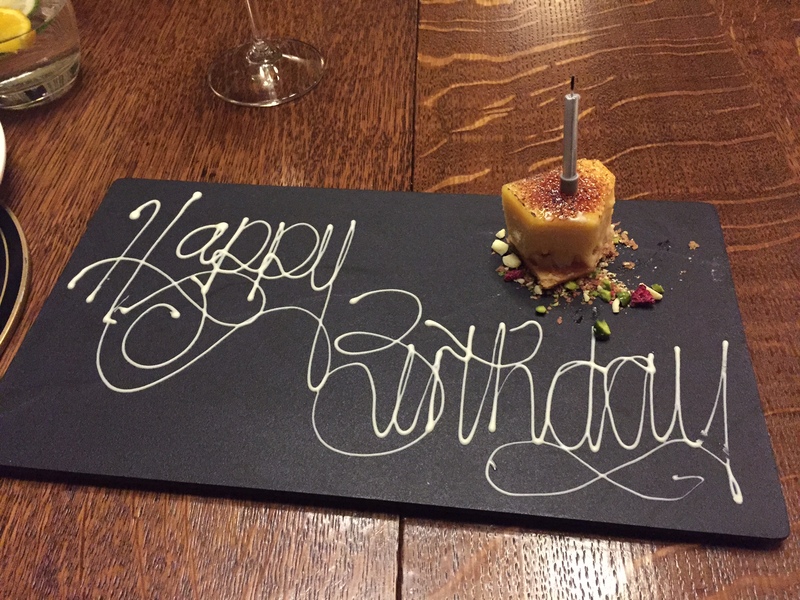 Even better than this gorgeous creation though was the Guinea Fowl which Colin ordered. It was tender, the potato pancake it was served with was to die for and as someone who hates sweetcorn, the base of sweetcorn fricassee was delicious. 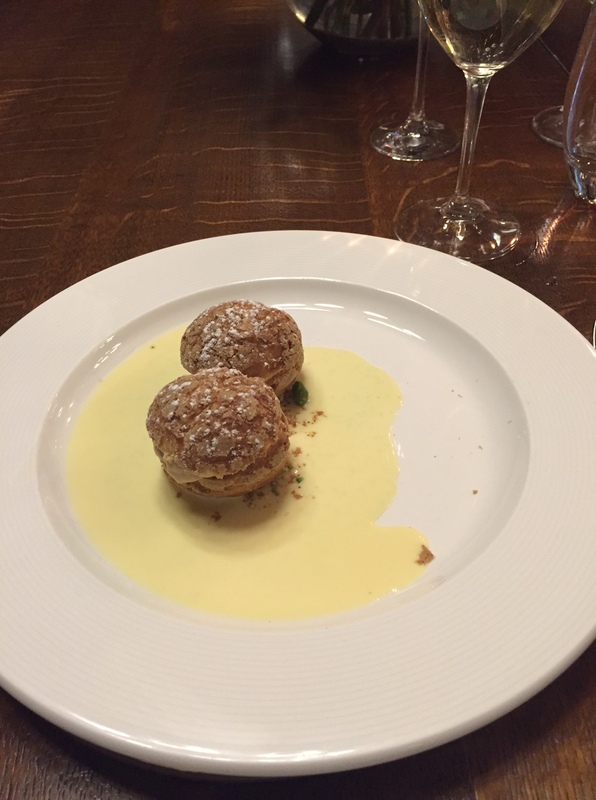 For dessert I inhaled Vanilla Crusted Choux Bun with Praline Cream. I was really keen to try this as I had remembered Choux pastry being a tricky one in the Great British Bake Off. They were soooo good. The pastry was light and the cream was flavoursome. I scraped my spoon around that plate until it was squeaky clean. 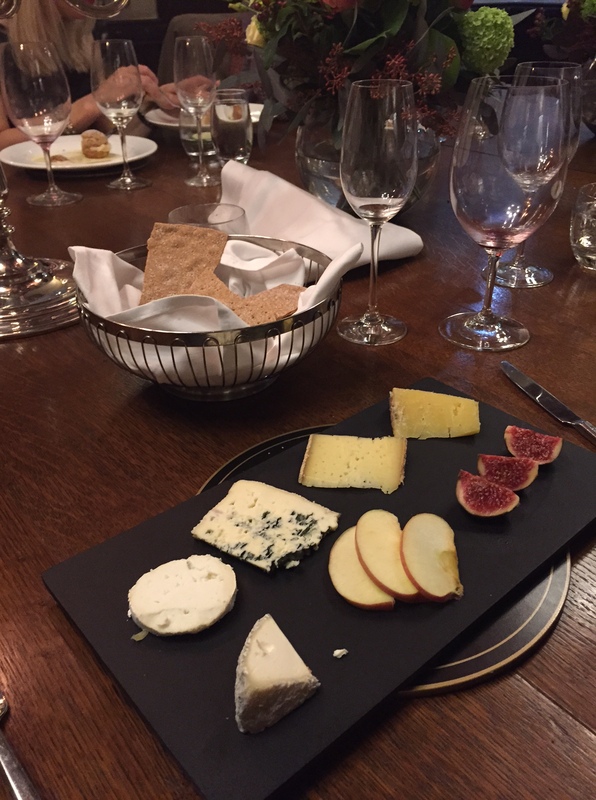 My sister in law had the cheeseboard which was a very generous helping indeed. 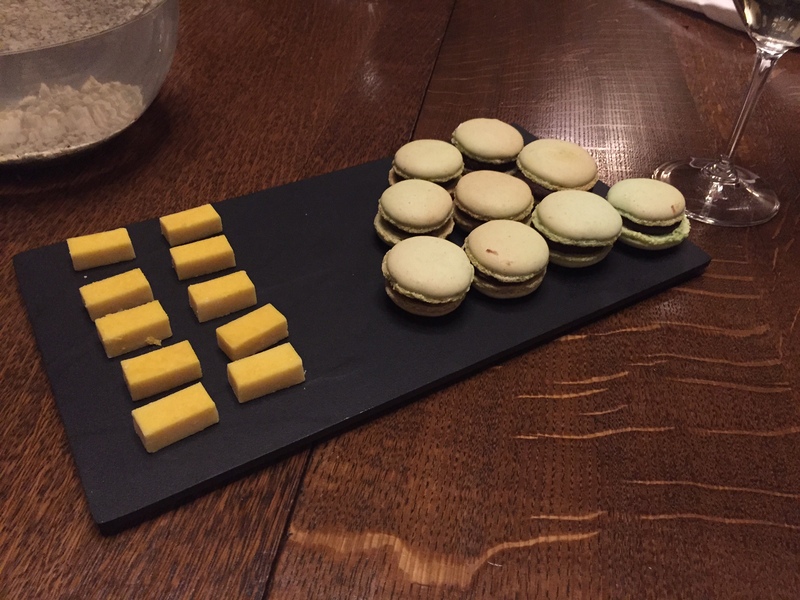 They gave my Mother-in-Law an extra lemon dessert since it was her birthday, which was a lovely touch and we had petit fours with coffee-which we all said that we couldn’t fit in…but of course we did. Obviously though she was far more impressed with the cake Colin and I had made her. Atmosphere 5/5: The atmosphere was everything you would expect from a Country Hotel and Restaurant. It was warm and welcoming. There was a blazing fire in the fireplace in our private dining room. The table was so comfy with loads of room and the lounge was just right for having some relaxing pre-dinner drinks in. 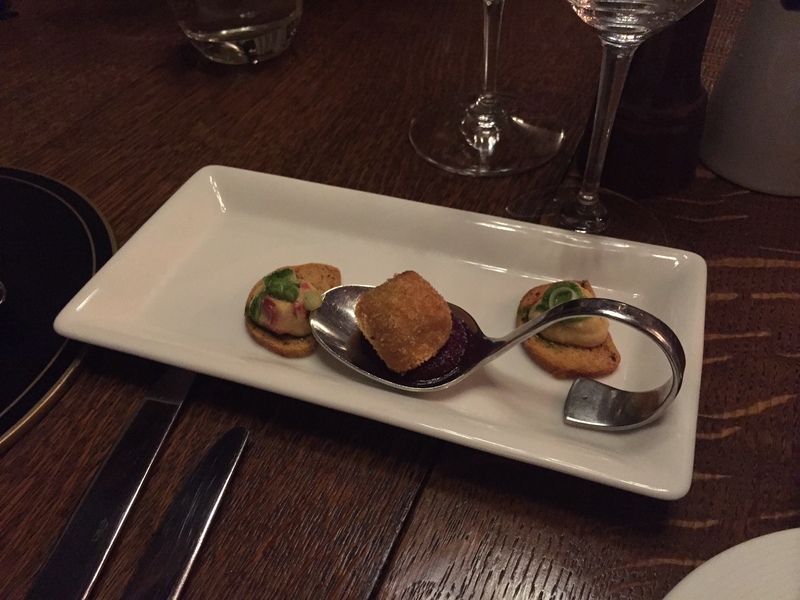 Price £££: The set menu was £31.50 for 3 courses. This is not what you would spend on dinner every week but for a special occasion it was great value for money, especially with the choice available and the quality of the food and service. I would 100% recommend this to anyone looking for a meal or night away for a special occasion. Scoring a 15/15 its game, set and match for the Cromlix.